The Fishermans Bend urban renewal project, so tantalisingly close to the River and the Bay, is challenged by limited access to the water. 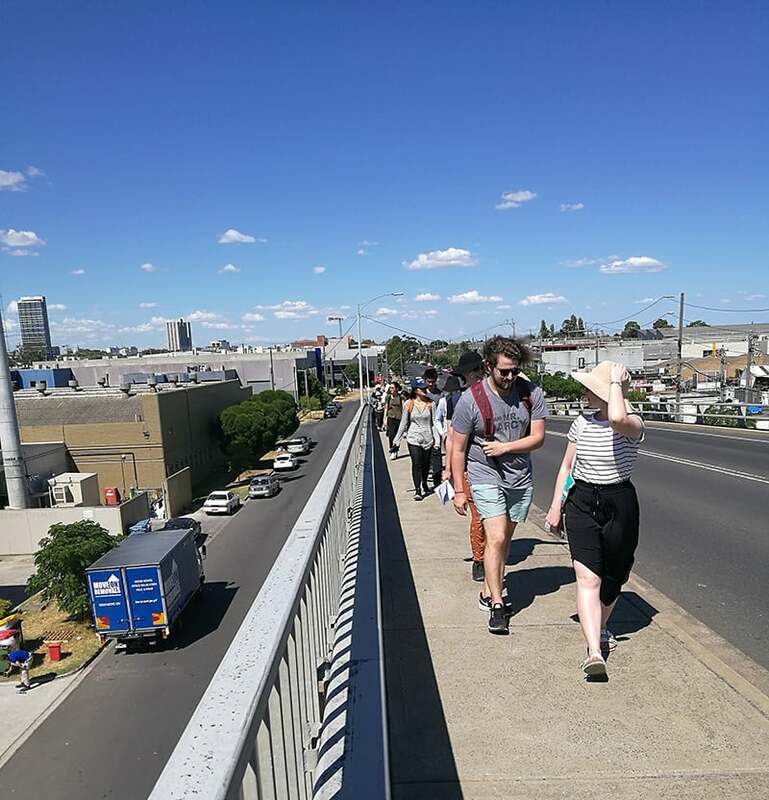 Explore Fishermans Bend watery history and experience the challenge of finding the River on foot with Janet Bolitho – urbanist, storyteller, Fishermans Bend Development Board member and committee member of the Yarra Riverkeeper Association – with a Jane’s Walk. You’ll be invited to contemplate the past and future changes to Melbourne’s next major urban renewal precinct and what this might mean for the ongoing story of Melbourne’s waterfront access. Jane’s Walk is an international citizen-led walking conversation inspired by urbanist Jane Jacobs. Jane’s Walks encourage people to share stories about places, discover unseen aspects of their communities, and use walking as a way to connect. Waterfront is presented by Open House Melbourne as part of Melbourne Design Week—an initiative of the Victorian Government in collaboration with the NGV. River Rights (Fisherman’s Bend) is co–presented by Jane’s Walk. Access Requirements: Able-bodied access only. A two hour walk (with stops), approximately 2.5km. Footpaths poor in places, steep ascent and narrow footpath over Ingles St Bridge. Wear weather appropriate clothing, comfortable shoes and bring water. Take into account that the walk starts and ends in different places. Point Park is a short walk from bus and tram network.